With live music examples by his "Hebrew National Salvage Project," Hankus Netsky, founder of the Klezmer Conservatory Band, speaks about the legacy of three little-known klezmer musicians, Morris Hollender, Marty Levitt, and Sonia Victor, who have important musical legacies. Admission to the program is free. Seating is on a first-come, first-served basis. 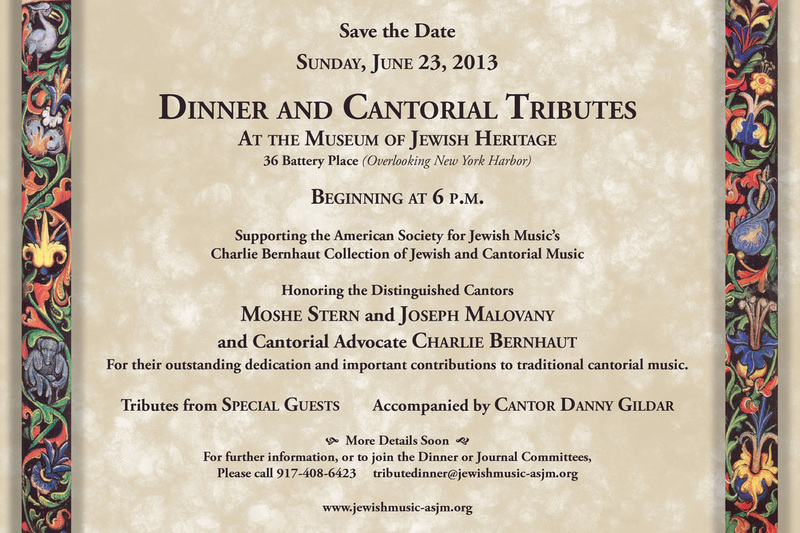 To make advance reservations mail: info@jewishmusicforum.org. The Jewish Music Forum is a project of the American Society for Jewish Music. For more information and a complete listing of past programs visit www.jewishmusicforum.org.